The following is a statement from Kurt Slep, the President of Phoenix Entertainment Partners, LLC, issued on April 5, 2018. Recently, we received an inquiry on one of our social media outlets from a longtime Sound Choice licensee: "On other forums some people are saying that with the new Gem series promotion—you do not get the actual disks but the set is stored in your warehouse." He asked us to comment on that story. We've also become aware of some discussion about whether we actually have the GEM series discs that back up our Disc Safekeeping program. We do. We've identified the source of people's confusion on that issue. More on that below. Disc Safekeeping has been a feature of all GEM series licenses since the summer of 2017. This is not something we started doing with our recent promotion, but because there has been a lot of recent interest in the GEM series due to that promotion, especially from existing licensees wanting to grow their business with additional sets, this is the first time that many of our licensees have encountered the program. We began licensing the GEM series to commercial end users in 2010. The original GEM series license was for five years. At the end of five years, the licensee could renew in three-year increments for a small fee. Renewal was guaranteed as long as the licensee continued to meet the terms of the license. However, the discs have always remained our property, according to the terms of the license agreement. In 2016 and 2017, we had a lot of GEM series licenses that came up for renewal. In the process of reminding those licensees of the need to renew, we discovered that a significant number of licensees had not followed the terms of the license. They had, in some cases, lost or destroyed their discs, and in some cases the discs were stolen. We also became aware of a couple of cases where their discs had been pawned—something we learned about when other licensees had bought the discs from the pawnshop and contacted us to move the license into their names. That presents a problem for us. Those discs sets are limited in number. We can't make any more of them. So if we can't recover them when a licensee doesn't follow the agreement, we lose an irreplaceable asset that's worth thousands of dollars. With that in mind, we revised the GEM series program in a couple of different ways. First, we reduced the initial license term to 3 years and required an annual renewal after that. That way, we maintain closer contact with our licensees. Second, we introduced Disc Safekeeping. Instead of sending you the discs, we send you the content of the discs on a high-capacity USB drive. We also pull a set of discs from our supply, put it in a box, label it with your name and license number, and set it aside. This solves the problem of accidental loss, theft, damage, or unauthorized sale or transfer, and it relieves our licensees of the need to store and protect our property. It also has another advantage for the licensee. Rather than having to copy the tracks from each individual disc—a process that can be tedious and time-consuming—the licensee can simply use the USB drive directly or copy the contents onto a hard drive. We have been accused of starting the Disc Safekeeping program because we ran out of GEM series sets. That is completely false. We have enough sets to meet demand at current levels for the immediate future. When we run out of sets, the GEM series will no longer be offered—unless, of course, there are licensees who don't renew or sell their license prior to their renewal deadline, and we're able to license that set again. We're not there yet. In fact, here is a picture, which was taken earlier this week, showing just a few of the Diamonds we have in stock, along with a set that was being pulled for a new licensee. That hasn't stopped our enemies from making and republishing that false accusation. Unfortunately, because of the strong stance we've taken against piracy, we've earned a few enemies over the years. We're proud to be an enemy of pirates, by the way. But that accusation doesn't make any sense. If we were to ship out content that wasn't backed by royalty-paid discs, we could become a target of music publishers whose rights could be affected. We are working hard to develop good relationships with music publishers so that we can bring you new music. Damaging those relationships and exposing ourselves to lawsuits isn't worth a few thousand dollars. We believe we've traced the origin of this rumor to a misunderstanding. One of our employees was trying to respond to what he thought was an inquiry about selling individual Sound Choice® discs. Our employee said—correctly—that we no longer have individual discs in stock. (We stopped selling individual Sound Choice® discs in 2014.) But the recipient of that communication took our employee's statement to mean that we didn't have the GEM series discs in stock, either. We've discussed this situation with our whole team, and we're going to be extra careful in the future about how we talk about this issue. We're sorry for the misunderstanding. 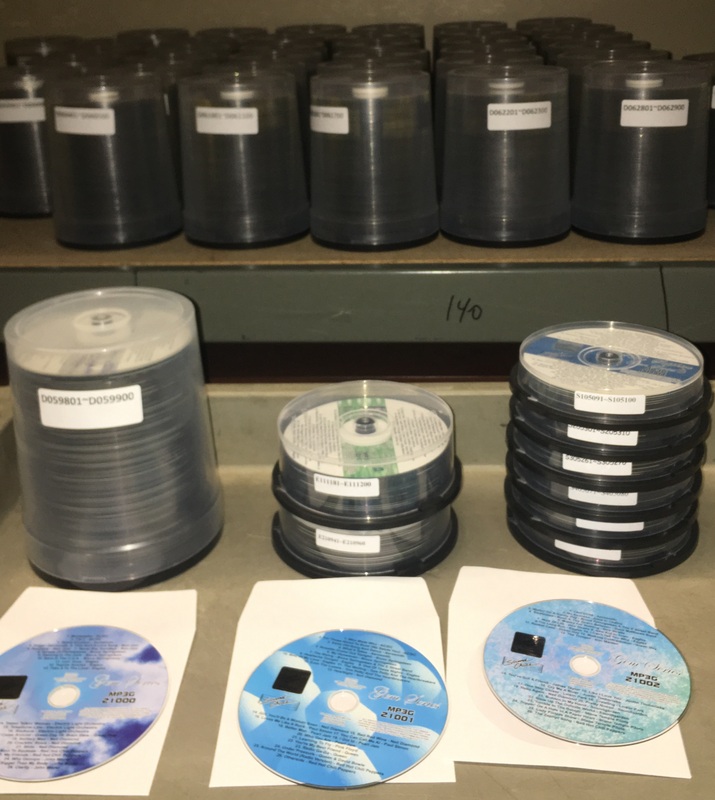 But the misunderstanding doesn't change the basic fact: Every license we issue under the Disc Safekeeping program is backed by a complete, fully licensed, royalty-paid set of GEM series discs, and that set is marked, put aside in our warehouse, and left alone. As a matter of fact, if any of our licensees want to come and "visit" their set(s), they'll be here, and we'd of course love to meet you in person. I hope this puts this rumor to bed and answers all of your questions about the GEM series and about Disc Safekeeping. But if you have questions, please contact our excellent Customer Care team for assistance. And if you haven't yet given us your input on new song suggestions, please take a few minutes to do so on our Song Request page.